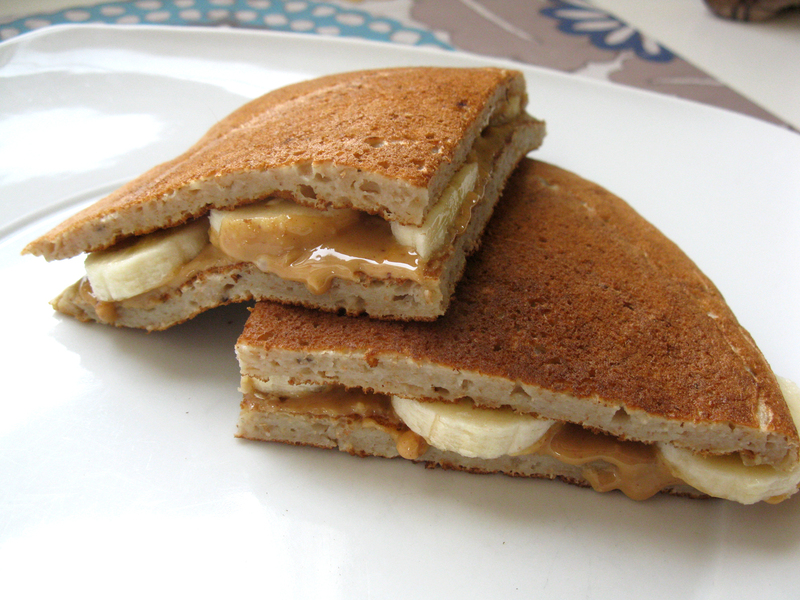 Pancake Sandwiches | Live. Learn. Love. Eat. Here is a neat little recipe that we enjoy around here. I hate wasting food, so if we ever have left over pancakes from breakfast we use them up for lunch and make pancake sandwiches. 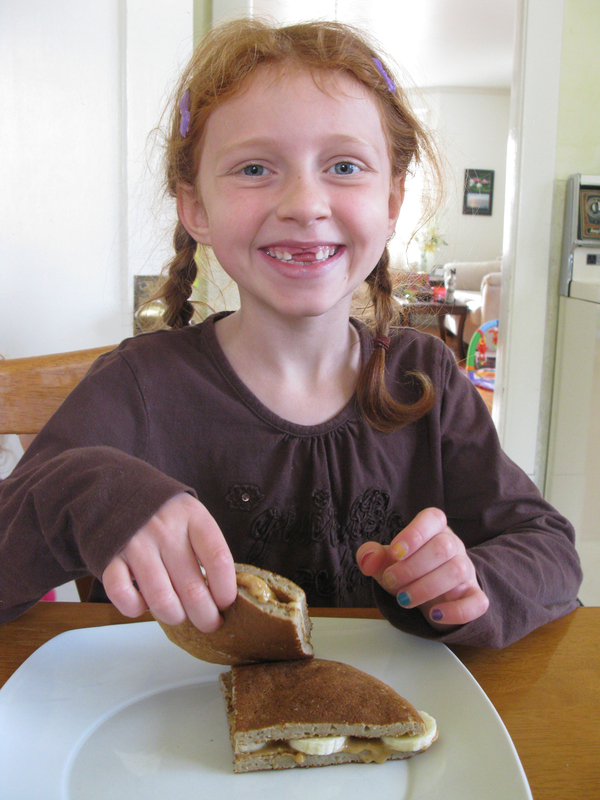 This morning we had Banana Pancakes for breakfast and so for lunch this afternoon we had Peanut Butter Banana Pancake Sandwiches. 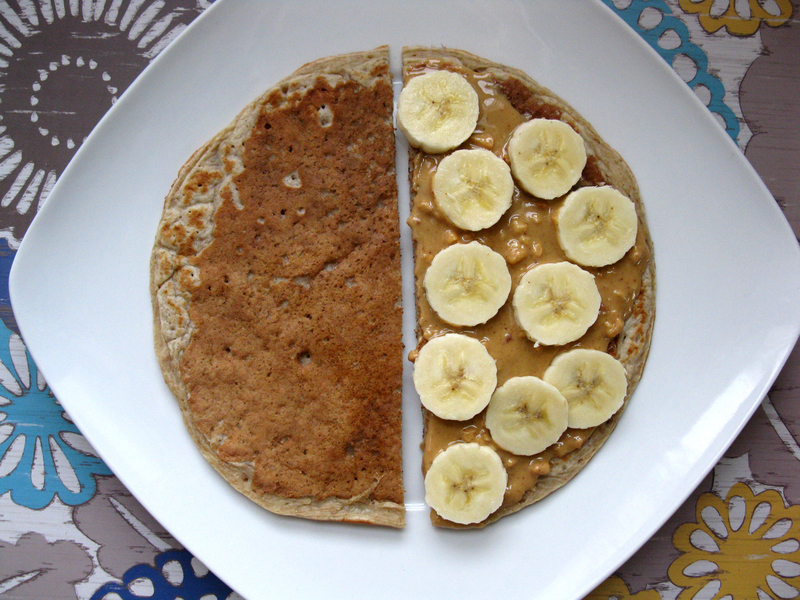 Cut the pancake in half, spread the peanut butter over one half and top with sliced banana. Top with the other half of the pancake and cut. 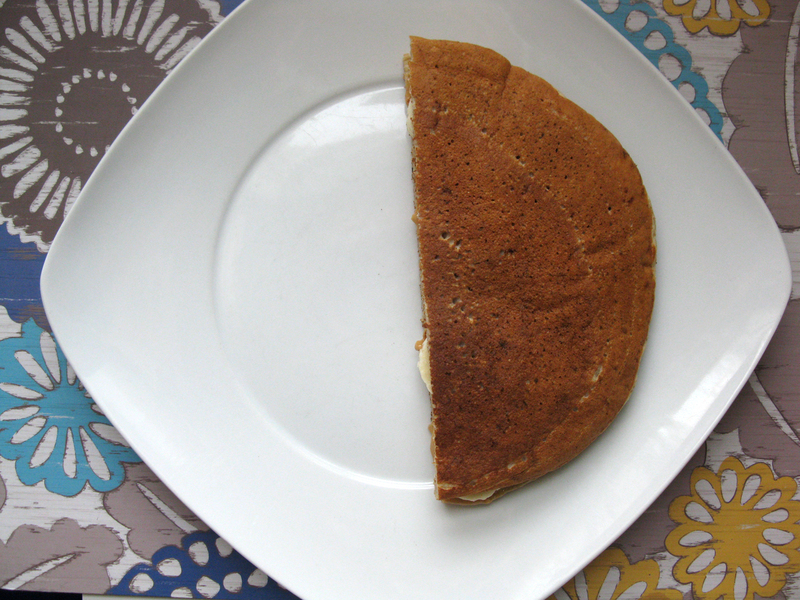 You could use whatever pancake recipe you love and even make peanut butter and jam pancake sandwiches. We often do that too. Or in place of sliced bananas, you could slice up some strawberries for a cleaner peanut butter and ‘jam’ pancake sandwich.